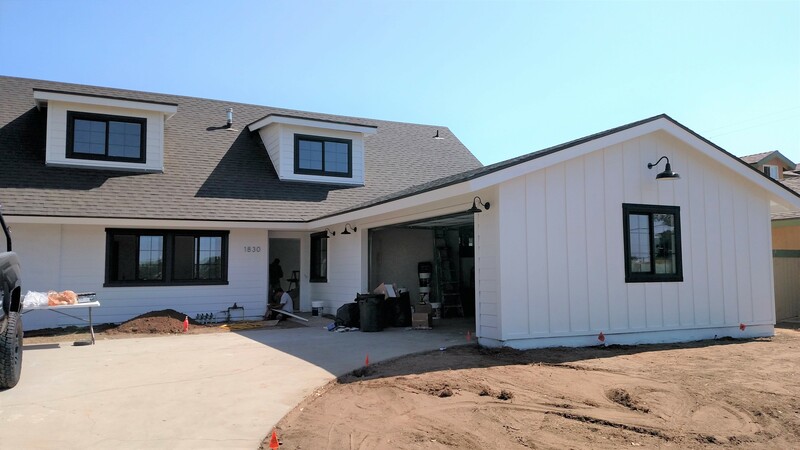 Our Modern Farmhouse is starting to take shape, all exterior paint is done in Behr Nano White #HDC-MD-06. 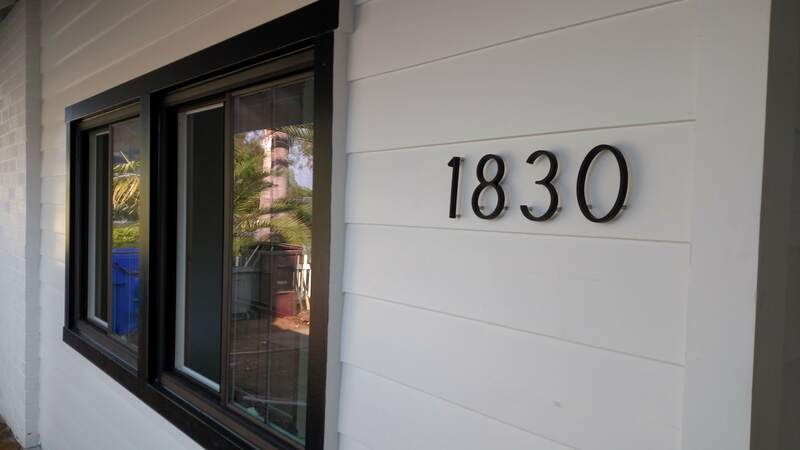 We installed the black grid windows and they really look bold on the white canvas. Loving this white and black exterior color scheme with the farmhouse design style, the result is an inviting and casual atmosphere, kinda like a little dose of rural farm-living near the beach here in South Oceanside. These pics do not do it justice, we are causing a traffic jam with all the lookie-loo’s who have been watching the transformation. We are right by South Oceanside Elementary and right off Vista Rd. so everyone cuts through and passes by this house at some point who lives in South Oceanside. One of the neighbors has been over quite frequently and even brought our workers donuts and thanking us for bringing value to the neighborhood. 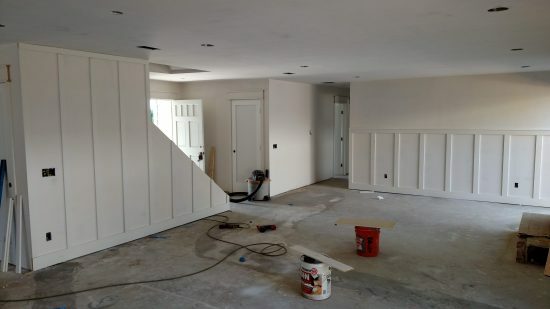 She is asking “Who is the Oceanside house flipper” doing this incredible project. 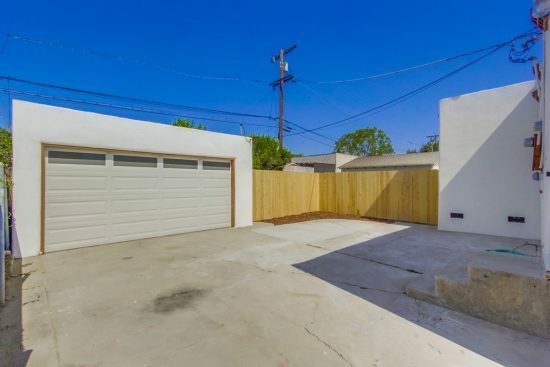 At this point it is way beyond a “house flip” but more of a permitted reconfigure and remodel. 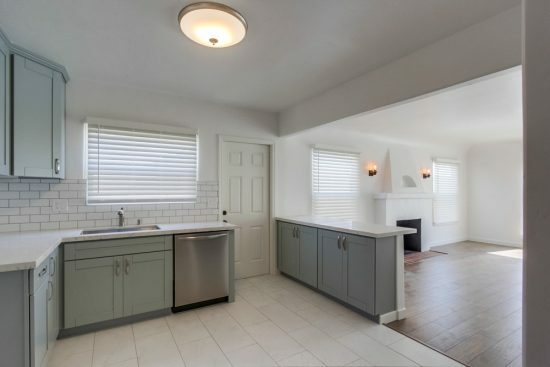 You wouldn’t have believed how this house looked when we bought it directly from an out-of-area seller. We made it easy for him and paid cash and took it as-is. Look back on the website for how it looked when we purchased it. 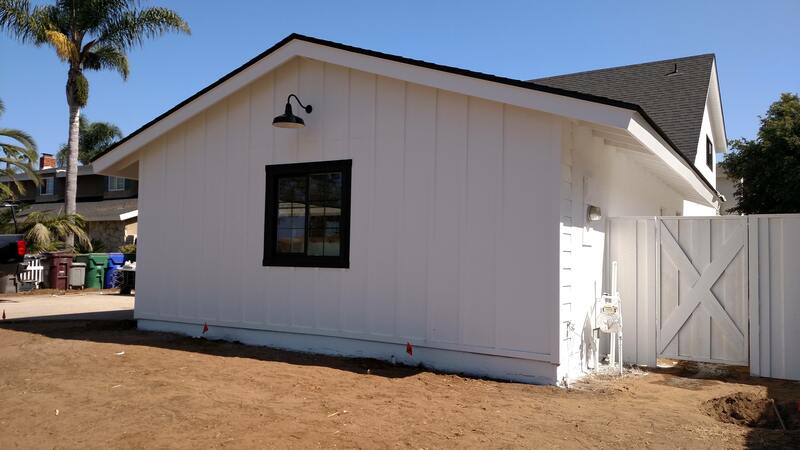 The Industrial Gooseneck 16″ Gardena Barn Light from Steel Lighting Company Fixture seems to be the main thing that stands out, white Board and Batten Hardie siding add to the farmhouse feel. My Barn Gate design will certainly hold the chickens and cow in the backyard. Even though the whole house is white, it works because of all the different materials and textures used. Mixed material exterior walls make a monotone house interesting to look at. 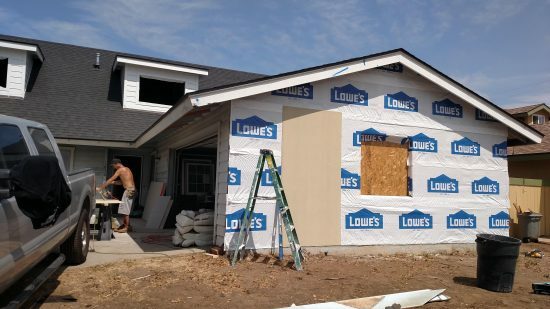 I have brick, horizontal siding, vertical siding, and stucco all contrasting each other but looking uniform at the same time..
We also got started on the landscaping with a retaining wall and new concrete patio. My finishers are the best in the business. 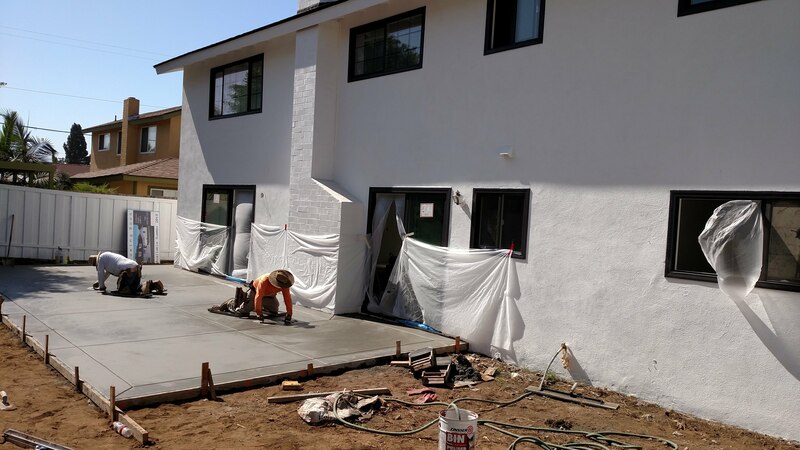 Having new concrete flat work really adds value to a project when remodeling a home. I often think about stuff we do staying on this planet and serving other long after i am gone. Every project has a budget but we try and spend the money where it counts on every house flip we do here in San Diego. 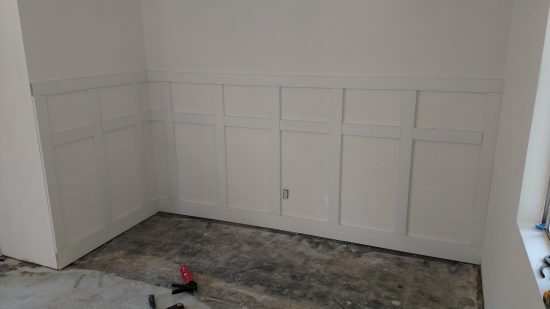 Stay tuned for an interior progress report soon! This house is coming soon to the South Oceanside market, West of the 5 and 2 minutes from downtown Carlsbad Village. Cozy, Comfy and full of Southern Charm, this sophisticated farmhouse is going to make one lucky new homeowner feel warm and fuzzy soon. This South Oceanside Farmhouse is truly a one-of-a-kind! 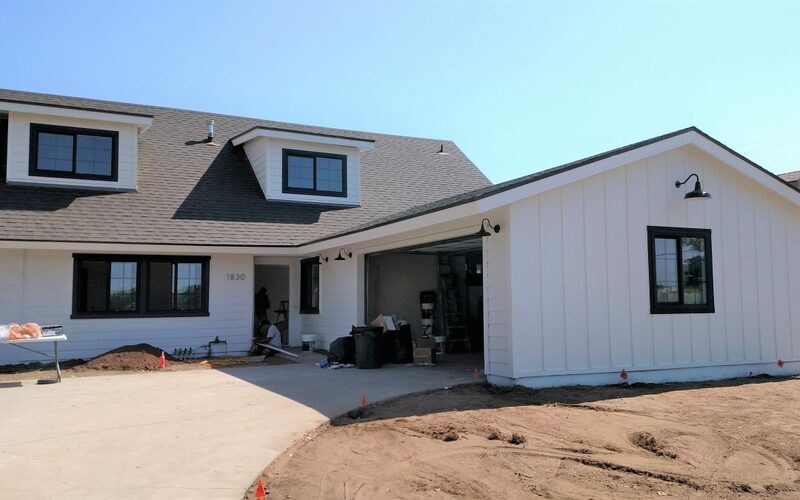 This big fully permitted Modern Farmhouse remodel in Oceanside is now well underway. 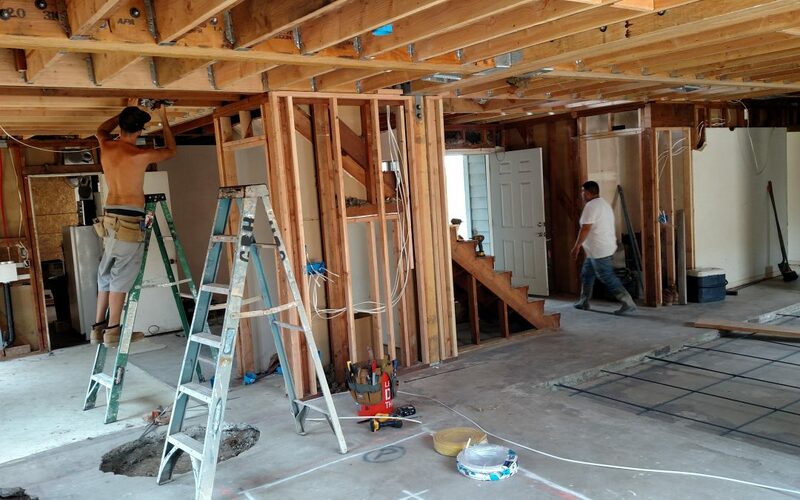 We moved a lot of walls around and are doing major structural changes to convert this dated 5 bedroom, 3 bath into an open concept floor plan 4 bedroom, 2 bath with huge 9′ island kitchen and expansive master suite upstairs. 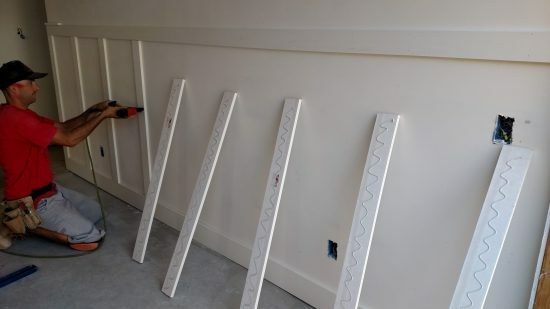 The style is “Modern Farmhouse” where we will run an all White and Black color theme with some industrial fixtures and gold hardware. 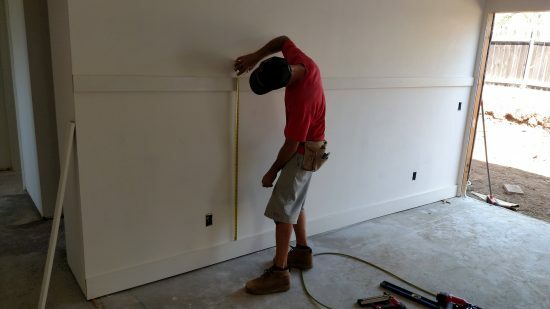 Inside paint colors will also be all white with warm wood floors to anchor the space. Extensive use of subway tile and white shaker will complete the look, wait until you see the unique industrial pendant lights we are dropping over the island. This is Part 1 which got us through the demo, permitting, rough framing, mechanical upgrades, central air, roof, insulation and drywall. Notice the awesome Shed Dormers I designed on the roof which gives it the Agrarian look we are going for. 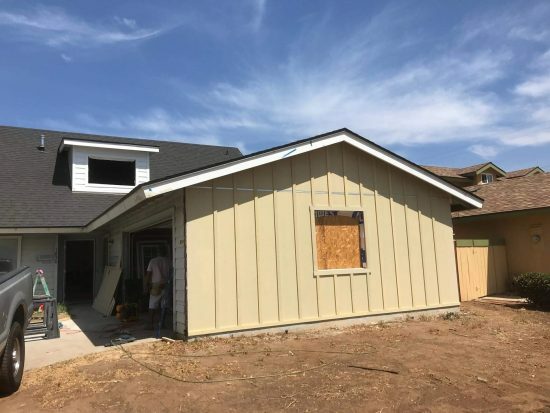 This style is hot right now in LA and North County San Diego so it will be exciting to leave this mark on the hip South Oceanside neighborhood for years to come. Subscribe to our YouTube channel so you don’t miss the final video to see how it comes out! 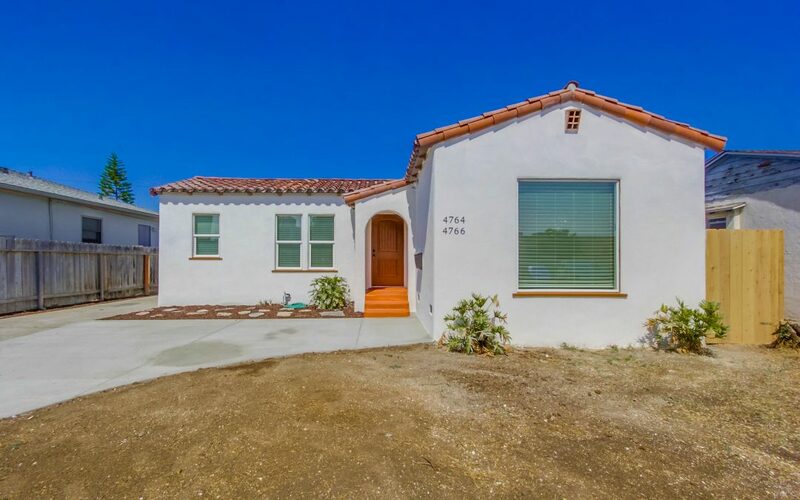 Sell your house in San Diego? That is what the old owner of this run down duplex did. 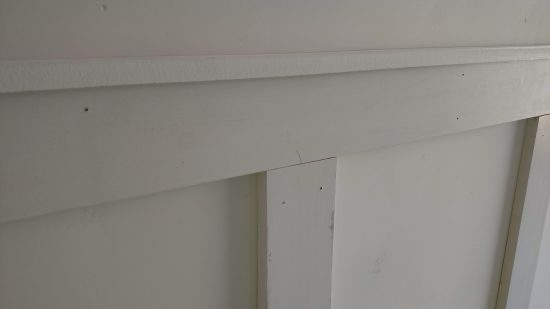 She is a CPA and held this as a long term rental, it just didn’t get the maintenance it needed over the years. We made it very easy and fair with a quick cash sale. 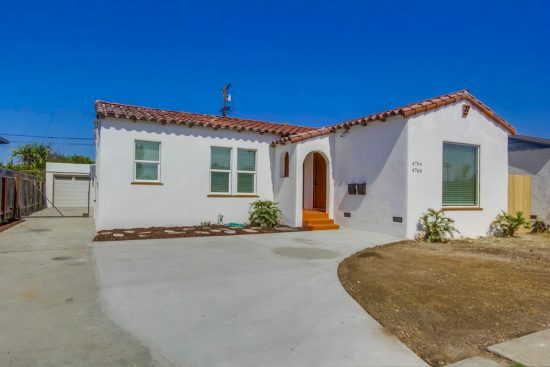 The team just wrapped up this Super Cute Spanish Style Duplex remodel yesterday near SDSU. This was a total renovation from top to bottom with all new windows, stucco, roof, electrical, plumbing, paint, flooring, kitchens, baths, fencing and concrete. I really love the big unit with the fireplace and coved ceilings. I stayed true to the Spanish Style architecture with the white interior paint and distressed darker hardwoods and then popped the cabinets grey to contrast the walls. White stucco outside was also a classic choice. 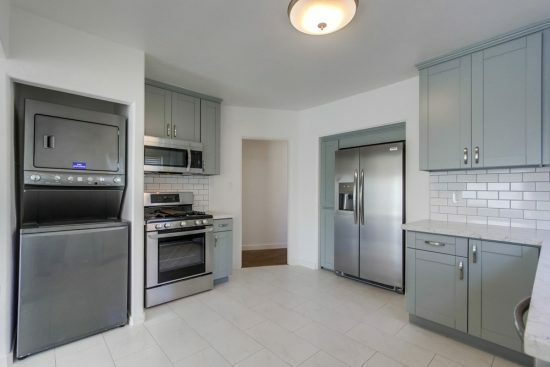 Subway tile in the kitchens completed the look, very pleased with the end result. 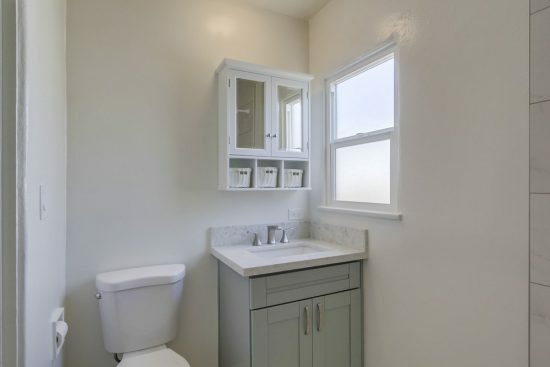 The obvious choice would have been white shaker cabinets but my supplier was out of stock so we went with grey but it looked great and enabled us to do all white walls so its easy to touch up being a rental property. 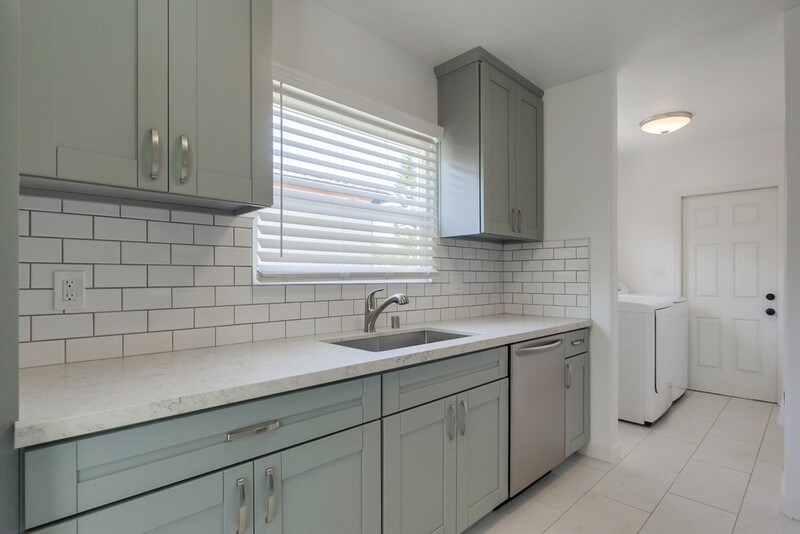 We buy a lot of houses in San Diego and remodel them. If you want to sell your house as-is for cash please contact us. 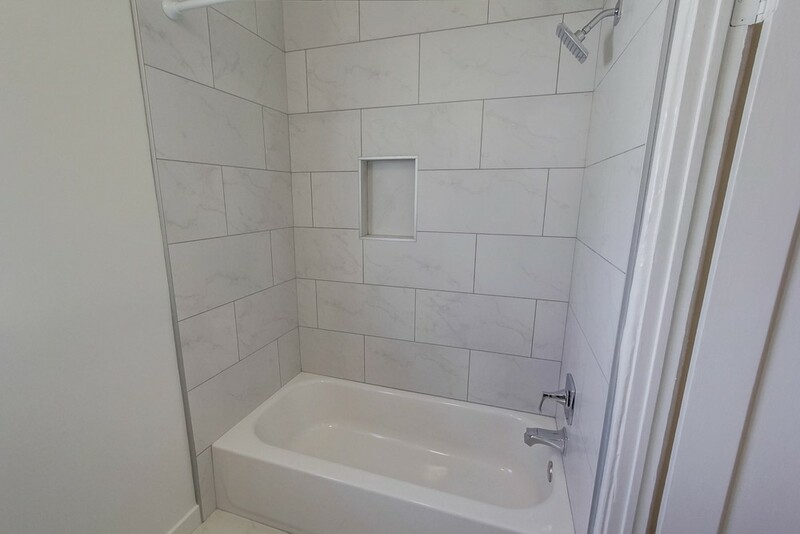 We are the most experienced cash home buyer in town and have been purchasing fixer-uppers for 15 years. 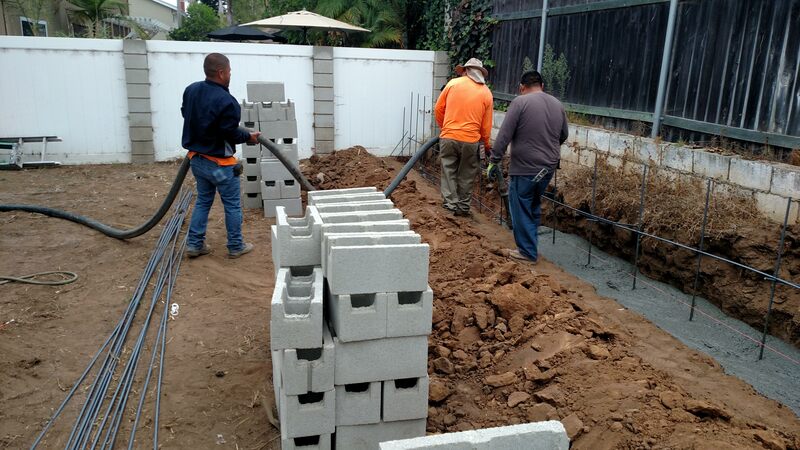 We can usually pay more than other “We Buy Houses” guys because we are licensed general contractors and do the work ourselves. Thanks for all my sub contractors and team members who worked hard to bring this to the finish line!